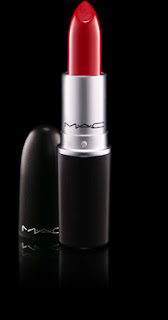 The Beauty Buff Blog: Red Hot Valentine's Day Lips! Happy Valentine's Day friends! Hope it's a romantic, glamorous, and fun-filled day! I'll be sporting some festive red lipstick today and encourage you all to do the same. Crimson lips seem to be synonymous with romance and love! 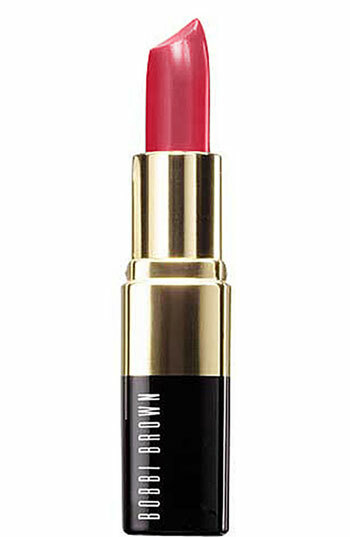 Bobbi Brown's Hollywood Red (23.00) looks amazingly glam on. Think Sienna Miller's effortless interpretation of bold reds. 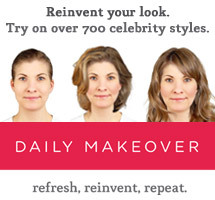 It brightens the face and gives you an Old Hollywood look. 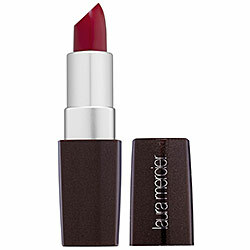 It's the perfect red for blondes with pale to medium skin tones. NARS Red Lizard and Fire Down Below ($24.00) are both semi matte tubes that are deep, conditioning, and vivid on the lips. They're great for darker skin tones and look dramatic yet not over the top. 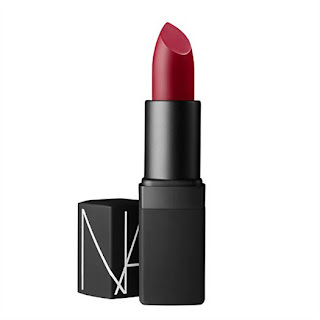 Other great NARS red tubes include Afghan Red (a satin garnet), Jungle Red (a bright red), and Shanghai Express (a deep brick-red). Laura Mercier's Truly Red Lipstick ($24.00) is a great orangey-red tint that looks great on anyone with warmer hued skin tones. The consistency is creamy yet matte and feels great on the lips. The tubes are full of emollients and anti-aging oxidants that help prevent moisture loss and help enhance hydration. NARS Cruella & Dragon Girl Velvet Matte Lip Pencils ($24.00) are cult favorites among red lipstick connoisseurs. The richly pigmented pencils are long-lasting and still look bright and punchy after a few drinks. Cruella is a deeper more blue-based scarlet red that looks best on darker skin tones, while Dragon Girl is a brighter more orange-based crimson thats works well on light to medium skin tones. M.A.C. Ruby Woo Lipstick ($14.50) is another favorite among makeup lovers. The matte tube has tons of pigment and is a great universal red that's bright, bold, and full of pop. It definitely deposits rich color into your lips so using a conditioning balm beforehand will help prevent it from bleeding. It has a more blue undertone and truly compliments a variety of skin tones and shading. 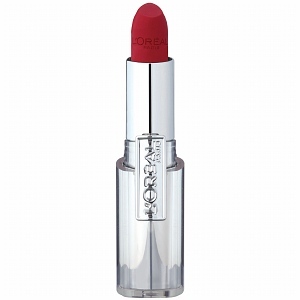 L'OREAL Infallible Le Rouge Lipcolor in Ravishing Red ($7.99) is another stunning lip tint. It's bright and lasts long without drying out your lips. I love how glam Gwen Stefani looks in the shade in her L'Oreal ads and lets be honest, we're all trying to look as effortlessly chic as the style goddess. Happy Valentine's Day loves! Hope it's a fiery red day!